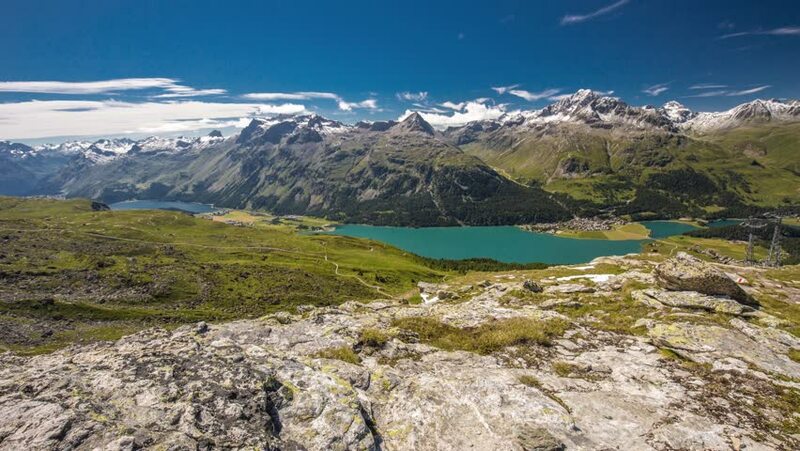 4K Timelapse of Engadin valley, Silsersee, Silvaplanersee and Swiss Alps from Corvatsch mountain near Sankt Moritz, Switzerland. 4k00:06Aerial view of the Hudson river, Hudson Valley, On the top of Bull hill quarry. Time lapse.